The involvement of far right and conservative think tanks in developing Trump's Africa agenda. 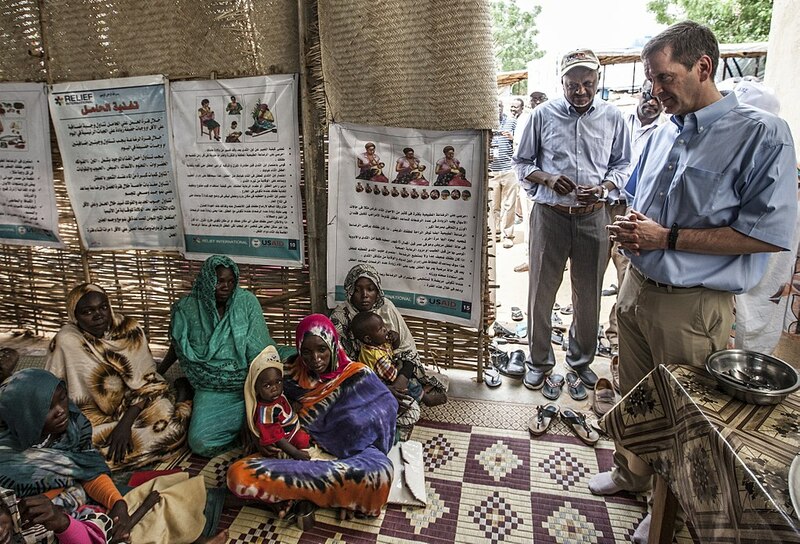 USAID Administrator Mark Green in Darfur, Sudan, in 2017. So, as an example, we’re partnering with MasterCard in refugee settings in Africa, Uganda, and Kenya, to provide a microgrid electrical power and to provide some internet connectivity. So our goal is to help displaced families sort of connect with the outside world so that, God-willing, one day, the fence comes down, or the gates open; they’re connected to the world around them. Green offered another example; a memorandum of understanding USAID had just signed with Corteva Agriscience, which is the agricultural arm of Dow-DuPont, characterized by Green as an “American agribusiness giant.” Yet Green offered few details about the agreement, with the exception that Corteva planned to market seeds and storage facilities in Kenya and Uganda. What we do [sic] for them is we did de-risk some of the investments. What we get from our side is those farmers get access to the technology that our farmers have had for a long time. Corteva will make a buck; we actually think that’s a good thing that they make a dollar from this process. Following the election of Donald Trump, policy wonks and development folks, or at least those we spend our time with on Twitter, wondered how the administration would approach the African continent. 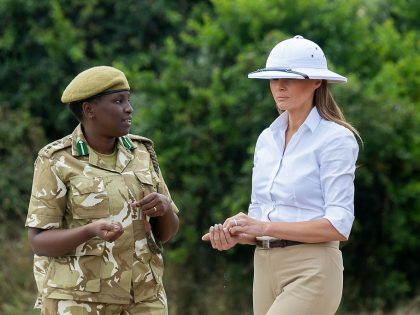 Between Melania’s trip to the continent and Trump’s “shithole country” remarks, Trump’s first two years in office featured Africa mostly in the way of spectacle but not policy. That changed in December, when, as the nation hurdled towards a government shutdown, the Trump administration released two new policy documents. 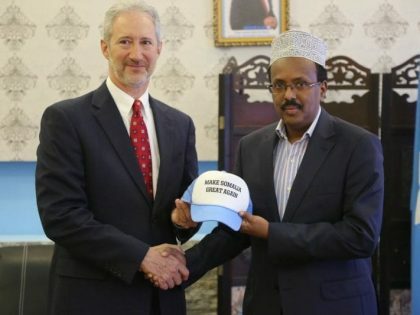 The first, dubbed the “Trump Administration’s New Africa Policy,” was unveiled by Ambassador John Bolton on December 13, 2018. Media coverage of the event focused on Bolton’s Cold War-ish remarks about what he described as the “predatory practices” of China (and Russia as well), which he argued impeded African growth as well as US military and economic interests. Trump’s policy, Bolton described, sought to counter Chinese influence via the advancement of US trade and commercial ties with African countries. Bolton also mentioned that the Trump administration would continue to counter terrorist groups on the continent while reducing US aid to US and UN-backed development projects. 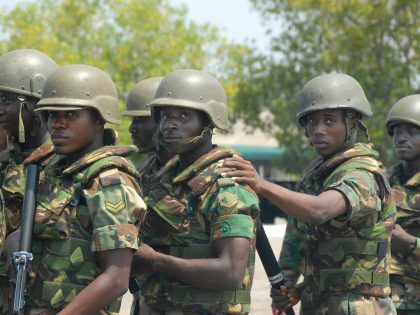 As Alex Park argued in Africa is a Country, there wasn’t much new about this “new” policy. While hype over China dominated headlines, an important aspect of Bolton’s speech was largely overlooked: that Bolton’s speech took place at the far-right think tank, the Heritage Foundation. And what also did not make headlines was that just two days prior, Mark Green unveiled actual new USAID policy at another conservative think tank, the American Enterprise Institute. It was there that he told audiences USAID hoped they could help American “giants” “make a buck” while promoting “development” abroad. A week after these think tank pronouncements, we published an op-ed arguing that under the Trump administration, USAID was pivoting even further toward private multinational corporations, hoping to rely on private, rather than government, organizations to provide aid overseas. By interrogating the metrics that make up USAID’s new Roadmap to Self-Reliance, the agency’s new strategy for determining country-level focus of intervention, we showed how the agency is integrating the work of hardline conservative think tanks—the Heritage Foundation and the Legatum Institute—into official US foreign aid policy. Who are these conservative think tanks and why does their involvement in US development aid matter? For the past 25 years, Heritage has been one of the most influential voices in elite conservative politics, shaping domestic and foreign policy agendas. But its connections to the increasingly radical Republican Party have expanded in recent years, especially after GOP Senator Jim DeMint became the group’s president in 2013. Since then, it has played a major role in staffing the Trump administration. Like its proposals on health care, energy and environment, and especially taxes, Heritage’s proposals on development policy have become grander and more historically unprecedented. The group now calls for a radical defunding and restructuring of USAID. Leading this charge is Heritage’s Executive Vice President, Kim Holmes, who also introduced John Bolton at the December 13th event. Key to this coalition’s playbook is the technique of staffing agencies with directors who would dismantle their own offices. Similar to Trump’s assignment of Scott Pruitt to the Environmental Protection Agency, Mark Green and other Trump-administration officials appear to be working toward restructuring USAID away from the letters “AID.” To be sure, Mark Green has a long history of using development and infrastructural challenges to support the US private sector. He was instrumental in developing the controversial Millennium Challenge Corporation, a US program that offers aid towards infrastructural projects in return for policy changes. [C]an the private sector solve this problem by itself? Could there be a market-based approach to addressing this challenge? Are there factors constraining the private sector from involvement and investment? Is there a role for USAID to help alleviate or eliminate these constraints? Thanks in part to long-term efforts from Heritage, USAID’s new mandate is to act as a facilitator for private profit in the name of US development and humanitarian assistance. Of course, the US private sector is already heavily involved in US development assistance, and their involvement is not unique to the Trump administration. The G8 New Alliance for Food Security Nutrition, for instance, sought to provide inroads for private investment across Africa. The program generated criticism from a wide range of voices, from African activists to European parliamentarians. Many promises were made with little to show: the once-hyped New Alliance no longer exists. And we know that host countries are not always keen to open doors to foreign companies that are likely to squash local competition. Under President Obama’s Feed the Future program, US officials lobbied the Ethiopian government to allow DuPont Pioneer (current day Dow-DuPont aka Corteva) to distribute hybrid maize seeds. Ethiopian officials were initially reticent to grant DuPont permission to operate, as they worried that DuPont’s profit-seeking would result in uneven development and a crowding out of any competition. Ethiopia eventually ceded, and the case rests as a grand example of what Green suggested USAID could offer US private actors: relationships, experience, and persuasion. However, what’s new, or perhaps elevated under Trump’s USAID, is that officials like Green and official policy like the Private Sector Engagement Policy do not use the language of food security or nutrition: they talk of markets and profits. In other words, USAID’s unabashed, Trumpified mission to “develop” Africa relies largely on US-based multinational corporations. But this is a risky premise. USAID contends that it wants to assist countries on the “road to self-reliance,” but imagines development explicitly tied to large US firms. 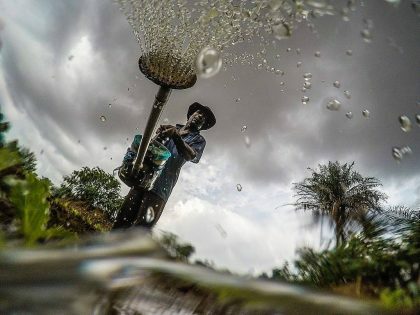 A ruthless brand of international corporate capitalism isn’t likely to result in the end of aid; in fact, it may lead to greater inequality, environmental degradation, and labor exploitation. Multinationals are notoriously difficult to hold accountable, often demanding lax regulatory standards and hefty tax incentives in return for operating in a country. We know US foreign aid is far from perfect. And we don’t yet know how this policy will ultimately play out on the ground. Will country governments accept these new types of agreements? Will USAID be able to provide the types of concessions US multinationals desire? But what we do know is this: that US tax dollars and USAID should not be used to lobby for—and subsidize the growth of—US-based multinationals abroad.